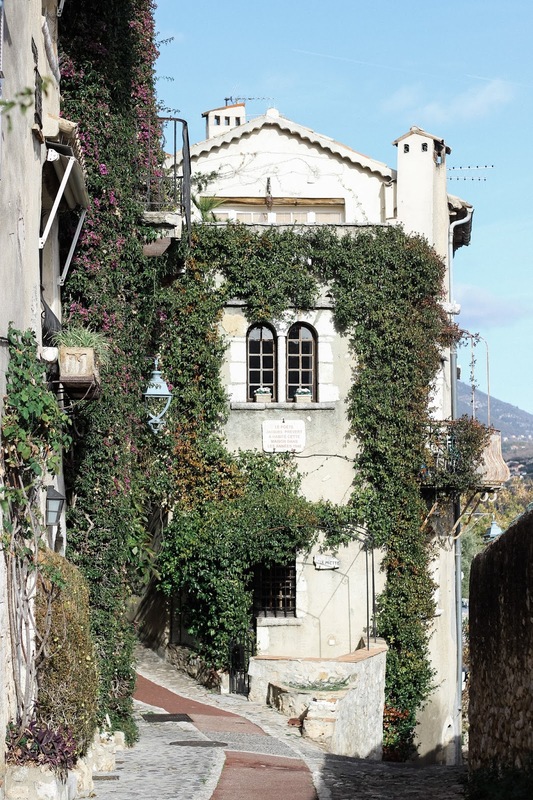 Within the French Riviera is a cluster of beautiful coastal towns, all with their own unique characters. 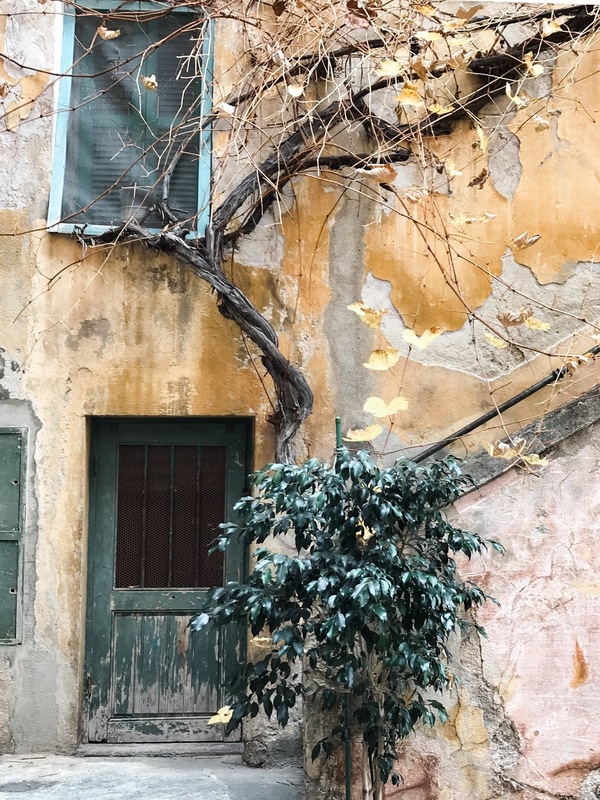 During our short time in Nice we took two day trips outside of the city to discover more of the charm that southern France has to offer. 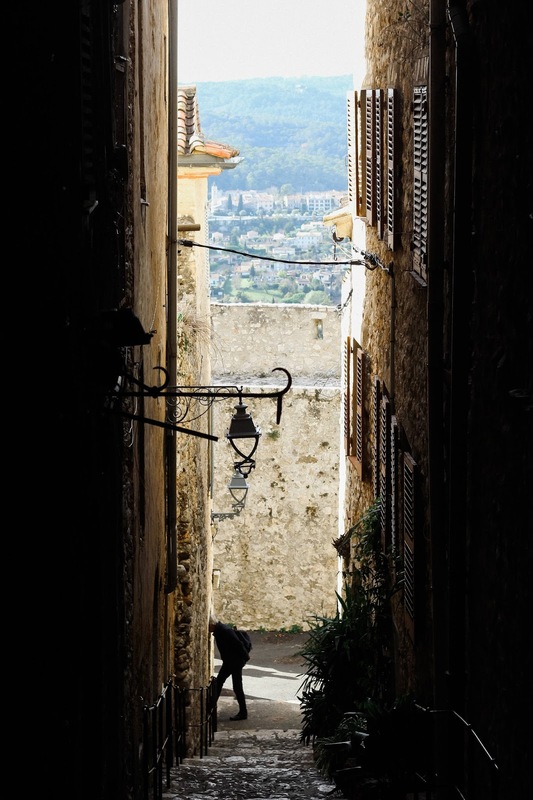 Between the colorful streets of Villefranche and the cobblestone alleyways of Saint-Paul-de-Vence, these brief ventures outside of Nice only made us want to return for more. 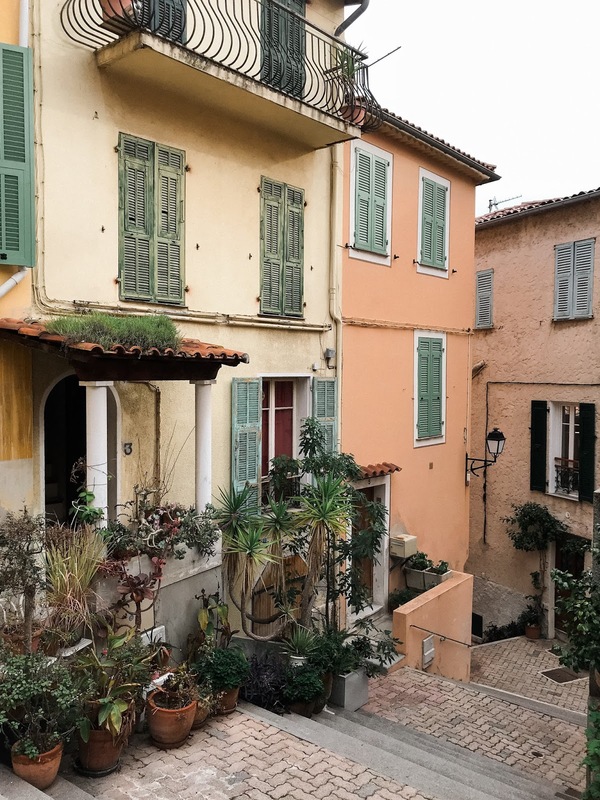 We were only able to visit a tiny handful of the possible day trips in the Côte d'Azur, but I highly recommend exploring both if you find yourself in the area. 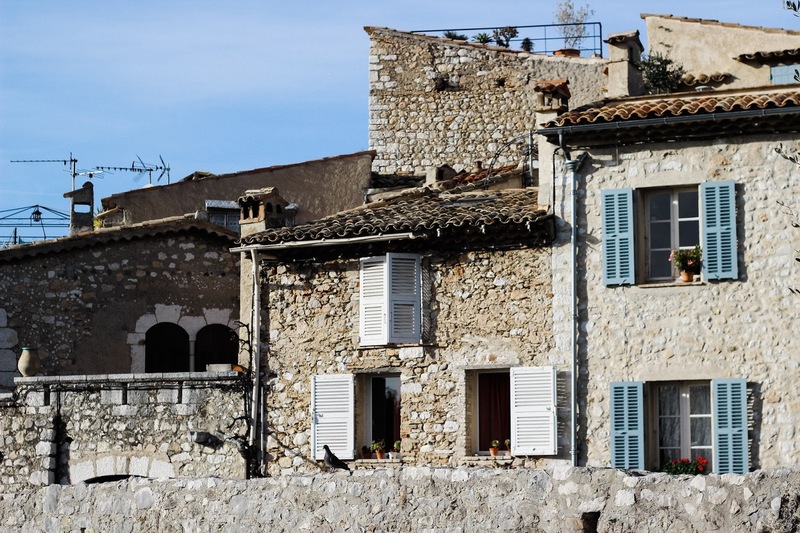 Situated just minutes away from Nice, this vibrant fishing village can be explored in a few hours, or for an entire day. It is said to be one of the most charming and picturesque villages in the French Riviera, and upon visiting there is no question why. The town's narrow streets are lined with pastel-colored buildings that face a beautiful open bay and sandy beaches. We spent a few hours strolling the village before I had to work, which is much easier in the winter given the lack of crowds. 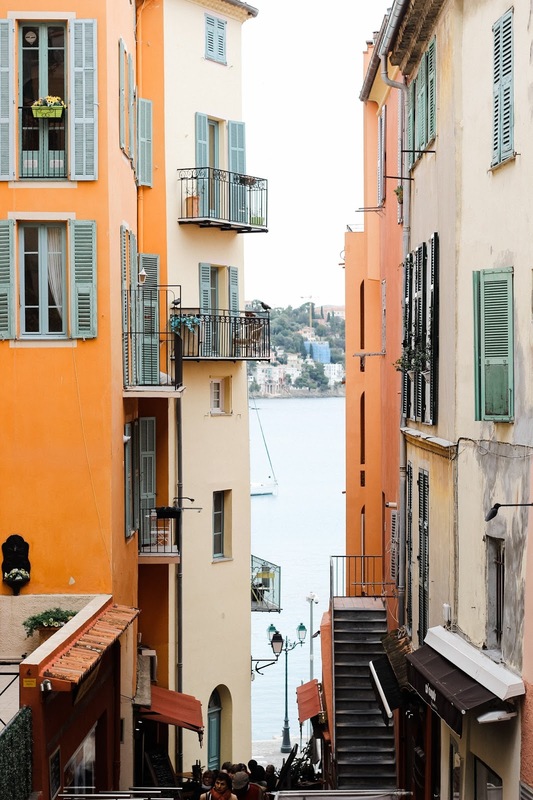 While there isn't a huge range of things to do, simply getting lost in the quiet streets of Villefranche is enough to enjoy your time there. Dine at Le Mayssa Beach. 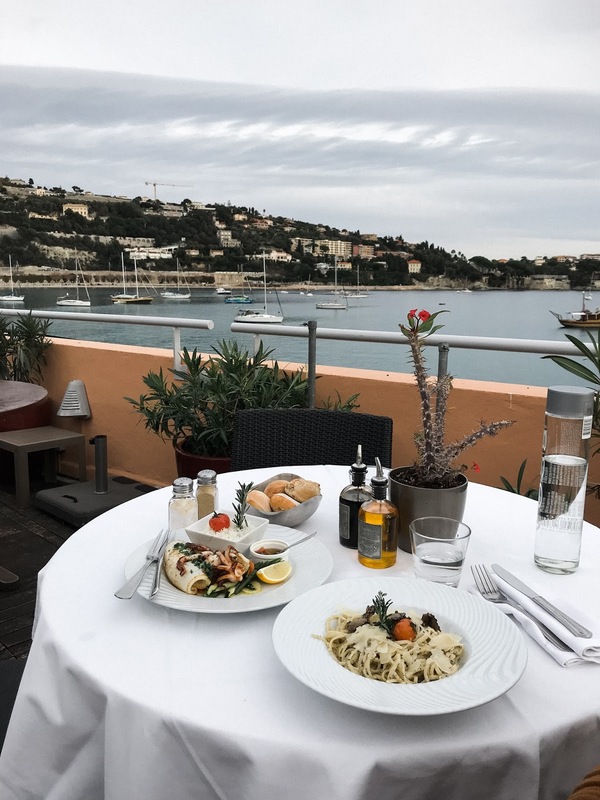 This terrace restaurants sits right on the bay, overlooking both the water and neighboring towns of Nice and Saint-Jean-Cap-Ferrat. While the food is a bit on the expensive side, I'd say it is worth the experience and taste. We stopped by for a lunch of grilled squid and truffle linguine -- every minute of the experience was lovely. Take an eerie walk through Rue Obscura. We didn't end up taking photos here because honestly, we were a bit scared of this dark covered street. Rue Obscura is a vaulted passageway from the 1200s, where the population would take shelter from attacks. Now, it is a historical path to walk through that contrasts drastically from the town's colorful streets. Stroll and snack at the quai. This is the seaside strip that houses terrace cafés and restaurants facing the harbor. 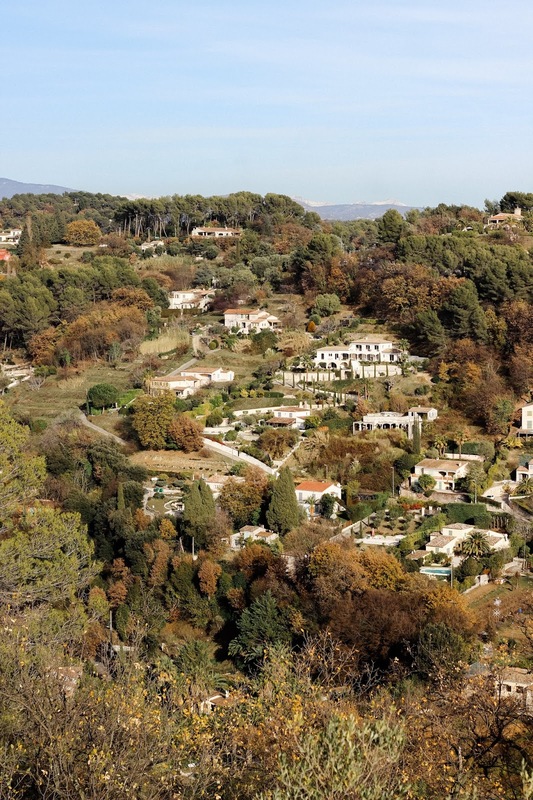 It is a place to relax and soak in both the sun and southern French culture. During the summer, you can enjoy a lazy afternoon on the sandy beaches as well. 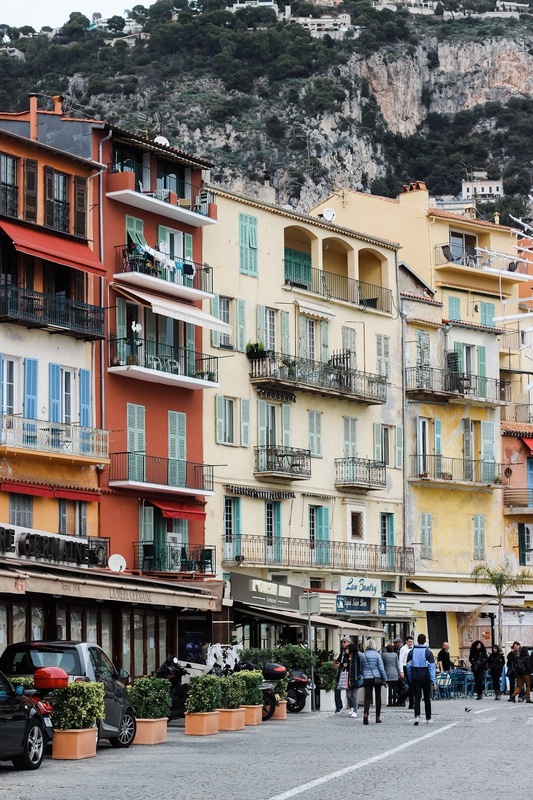 From Nice, take the #82 or #122 bus towards Monaco, or take a 15-minute Uber ride. We had also planned to take the same bus route to Eze in the morning but didn't end up having time. 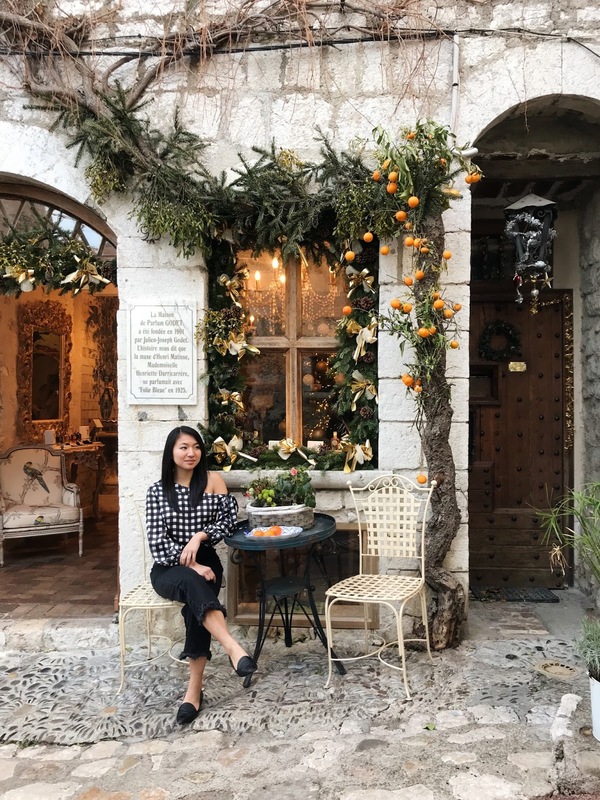 As one of the oldest medieval towns in the French Riviera, Saint-Paul-de-Vence makes you feel like you're walking through a storybook. 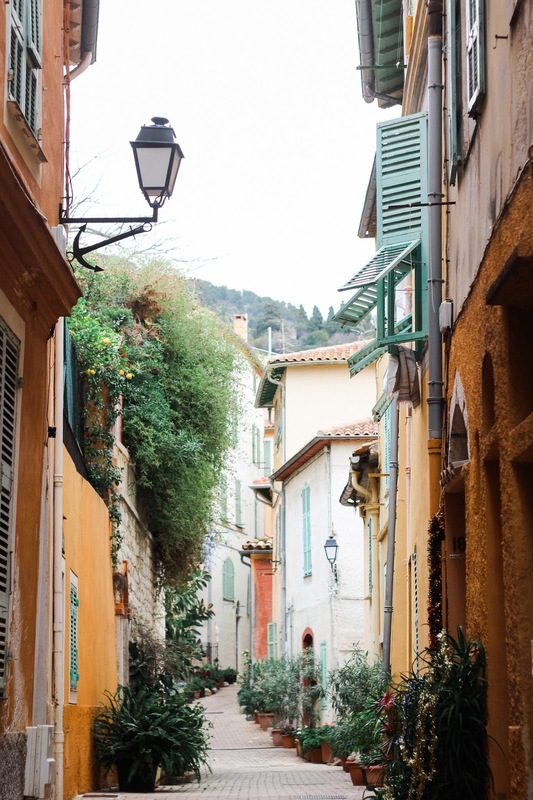 An hour-long bus ride from Nice will take you to this hilltop village lined with art galleries and cafés on cobblestone streets. It is a small town with a lot to offer if you are interested in French history, art, and overall charm. Surprisingly we were around many more tourists here than in Villefranche, though there were enough winding alleys to get lost in that it never felt overcrowded. Grab lunch at a local café. 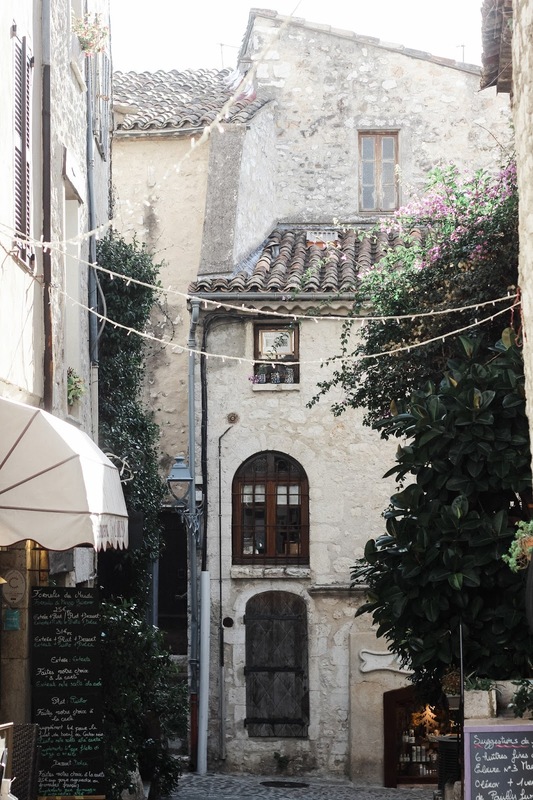 The narrow alleyways are filled with small restaurants, and in France especially you can feel confident enough to stop into any of them without scouring Yelp reviews. We decided on a tiny crêperie owned by a local couple -- it was truly a hidden gem as I can't seem to find the name online now! Shop the boutiques and admire artwork. Saint-Paul-de-Vence is filled with unique galleries and shops, selling everything from varieties of balsamic vinegar to luxury perfumes. 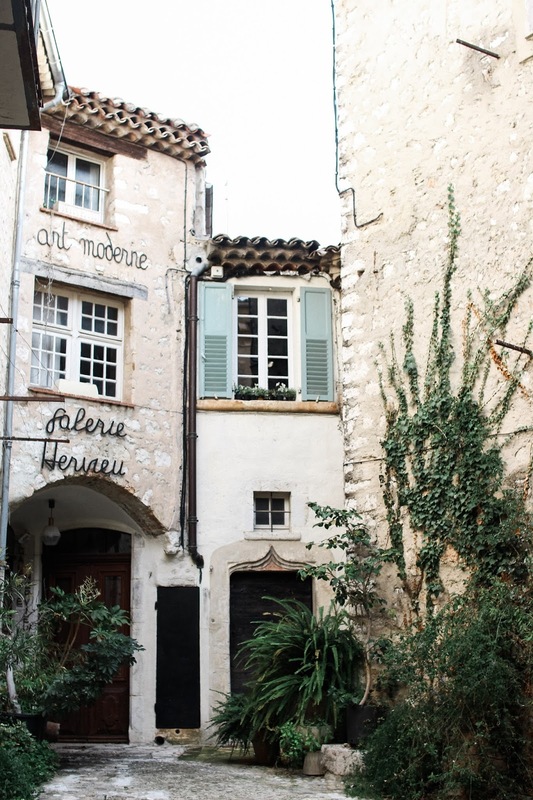 One of the most notable boutiques in the village is the Maison Godet, both for its lovely fragrances and picturesque exterior. We didn't have much time to explore the galleries and museums, but there are many options to choose from if you are interested. Take in the landscape views from the southern terrace. For the most dreamy views over the hills of southern France, head out to the terrace that wraps partly around the village from its south end. Even in the winter, the scenery is stunning. Within your view will be rolling hills lined with trees and beautiful homes that I can only dream of living in. 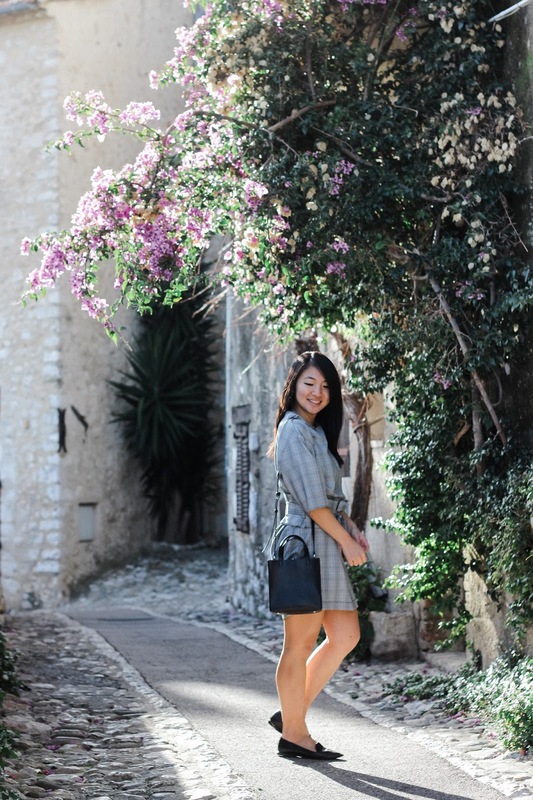 Like Villefranche, Saint-Paul-de-Vence is a town meant for strolling, and both are truly worth every step. 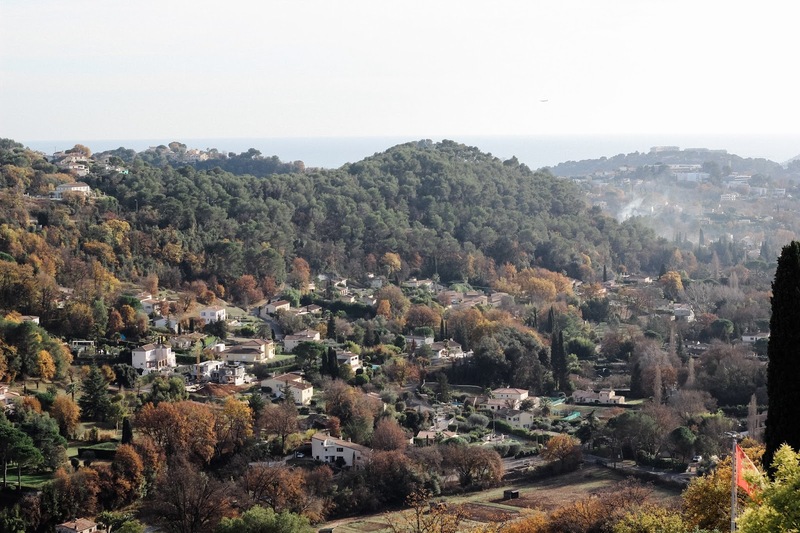 Take the #400 bus from the Albert 1er stop in Nice towards Vence. Before departing, grab a croissant breakfast at the famous Chez Maître Pierre. 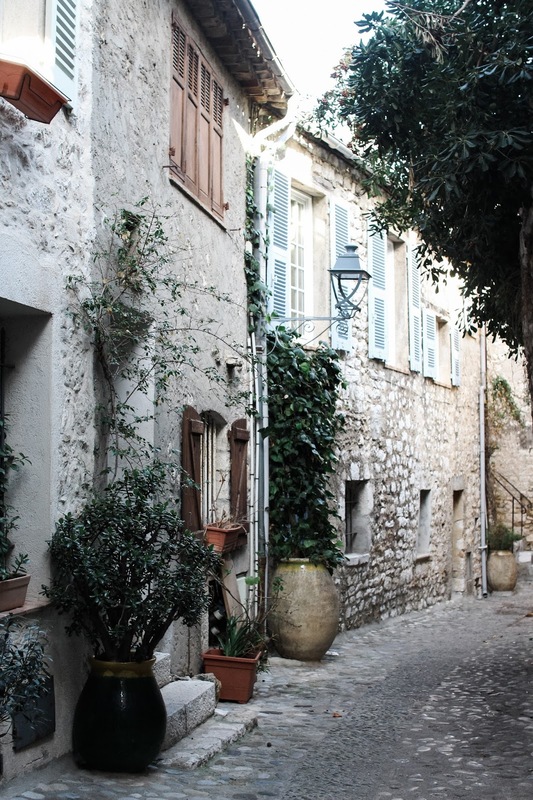 About an hour after departing, you will arrive at the Saint-Paul-de-Vence Village stop. These pics are amazing! I love those camel culottes! Such amazing pictures. Looks like you had a fun time! I have not been here, but it's been a while since I've been to France. The lunch looks great, and I love these beautiful photos. I love those camel culottes! This is amazing! I absolutely love this! These photos are beautiful! The French Riviera looks beautiful! Love how the buildings look colorful and there's so much to see! I also like that you got some great snaps in without all of the crowd as well. Something I have trouble with whenever I travel XD. Thanks for sharing your experience! Love your outfits :). Wow, it's so beautiful and romantic there. 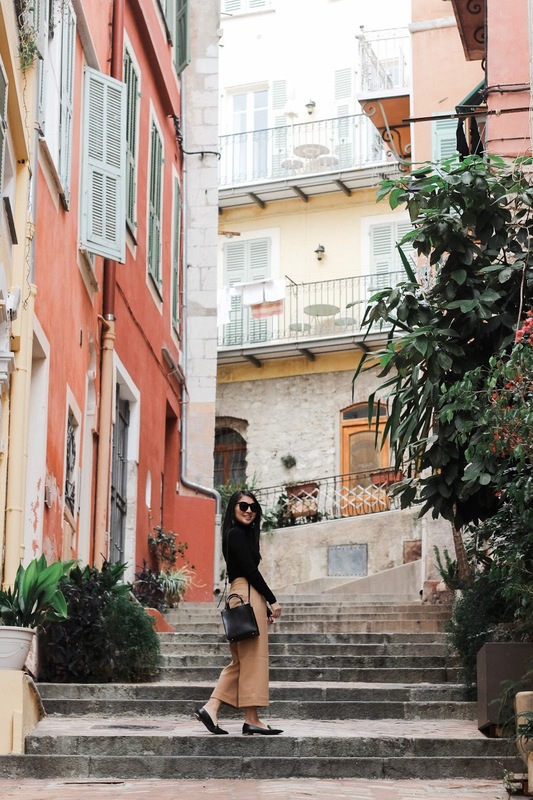 Love your black and camel look! Your photos are stunning as always. French Riviera is high on my travel wish list. The place is relaxing and great for walking. Your photos are amazing and your outfits too!!! Looks like you had so much fun! These are nice pictures. The French Rivera seems like a nice place for retirement. Your outfits are well planned.